Senior volleyball standout, Lexi Brantley, has played varsity volleyball at Macon East since 7th grade and has helped lead the team to four state championships since 2011. 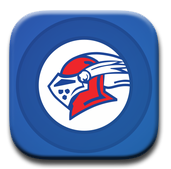 This year the Lady Knights continue on a winning streak with an undefeated season headed into the playoffs. In 2015, Lexi has achieved two major milestones racking up 2,000 career assists and 500 aces. She was honored by her coaches, teammates, and the student body for these accomplishments at a recent pep rally. Lexi was also nominated as the Alabama high school volleyball player of the week. Lexi is more than a leader on the volleyball court, she is an outstanding student, president of the Student Government Association, representative in the Homecoming court, and all around positive role model at MEA. 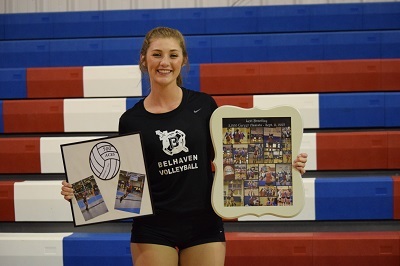 Lexi will continue her volleyball career at the collegiate level at Belhaven University in Jackson, Mississippi. The Lady Knights will continue to strive for five in the coming weeks leading up to the October 22nd AISA state championship.